The Stealth turtleneck, with its essential lines and strong personality, is an iconic sweater for a lady. The purest elegance of feminine black is fully expressed with this captivating garment. Versatility is guaranteed with the convenient zip located at the neck. 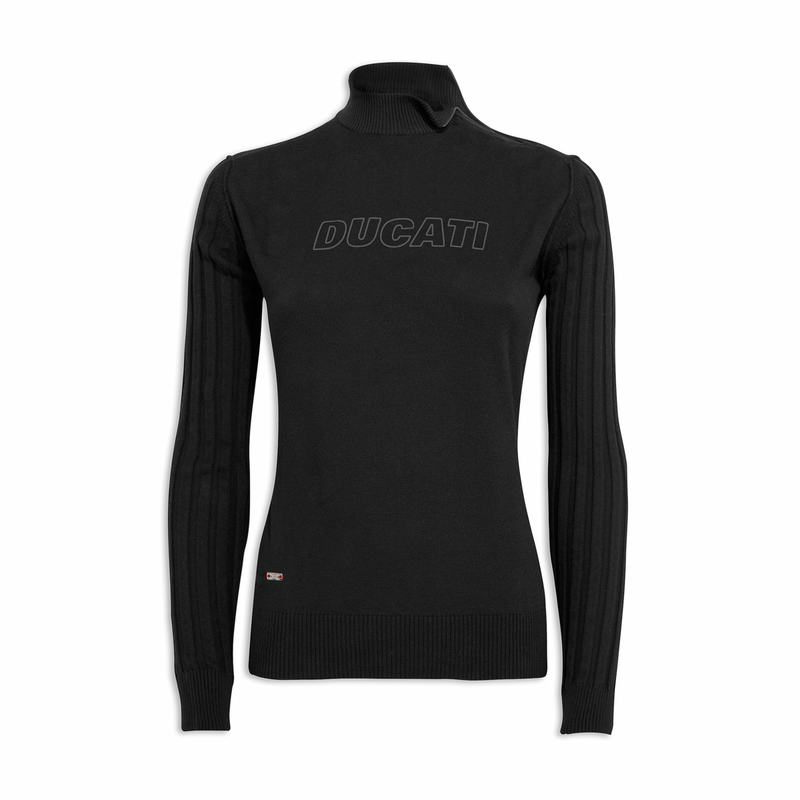 The discrete Ducati personalization on the chest and the metal tag stitched on with red thread further define the originality of this garment. Materials: 100% cotton.